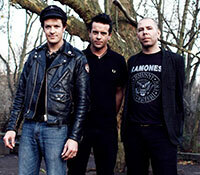 Psychobilly is not dead; it is more alive than ever with this Australian trio that continues to tour to this date since it was formed in 1994. The guitar player, singer, and mastermind behind the whole project, was born in 1975 in the suburbs just outside Melbourne, Australia. When he was only five years old he went with his father to a Kiss concert at the VFL Park, and he was completely haunted by it. One year later, age six, he started teaching himself how to play guitar practicing over AC/DC records, but his main influence was to be the man himself: Brian Setzer. Attending Jells Primary School he met Scott Owen and formed The Runaway Boys, named that way, unsurprisingly, after a Stray Cats song from 1992. They played mostly cover songs by The Clash and the Stray Cats. They played steady gigs at Richmond Club Hotel and the Corner Hotel both in Melbourne. Soon after, the composing duo went on to form The Living End, reaching great success and opening the 1996 Green Day Australian Tour. Cheney continues to play with this band to this date. Rolling Stones, The Who, and Oasis. 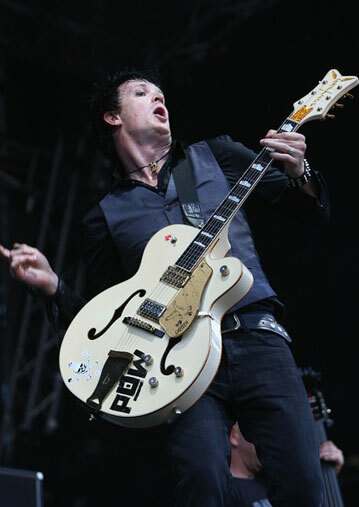 He also played with other youth idols including a breath-taking performance of “I Fought the Law”, the hit song by The Clash live on stage with Green Day at the Telstra Dome in 2005. The biggest dream-come-true came a little later 2009 when he got to play four songs along with his biggest lifelong heroes, The Stray Cats on their Australian Farewell Tour. Later, in 2017, he filled the shoes of Foo Fighters guitarist Chris Shiflett for the long-lasting cover band Me First and the Gimme Gimmes during their Spring Tour. He has also worked as a record producer for local bands like indie rockers from Melbourne, Celadore, and won the Jack Awards Best Lead Guitarist in 2004, 2005, and 2007. 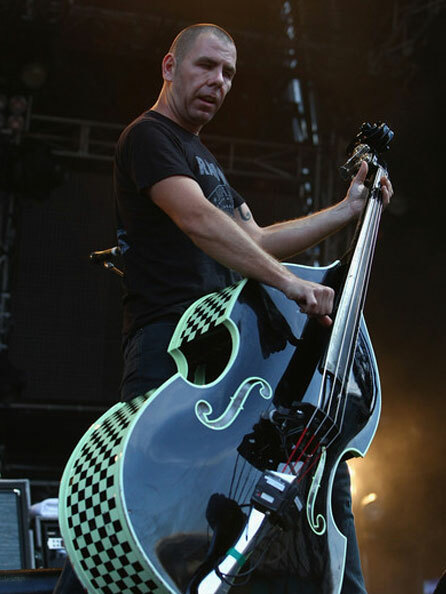 Born in Australia in 1975, Scott Owen started as a piano player but soon after made the transition to playing double-bass due to the lack of stage presence keys have in a rockabilly band. 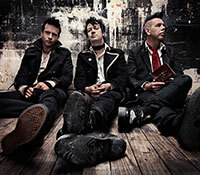 A young player age 17 joined his long-time friend and band mate, Chris Cheney in various incarnations, being The Living End the most successful, famous and lasting of them all. His signature style of playing his instrument is quite personal, he often climbs on his double-bass and plays with one foot in the air or lets Cheney do it while he plays his guitar. It has often been referred as performing Bass-Stunts. He also wrote and co-wrote some of the band´s greatest hits including “What Would You Do?” and “So Lonely”, among many others. Another record fuelled by top 20 hits, it debuted at number one in ARIA charts and was released along with a DVD that witnessed the making and touring of the record. 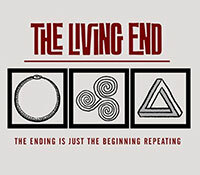 Another debut at number one, the album that came along with the defeating of the writer´s block that Cheney had experienced after 2006 when he intended to leave the band. 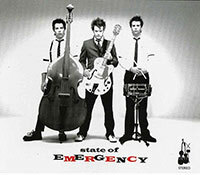 It won the ARIA Award for Best Rock Album for 2008. 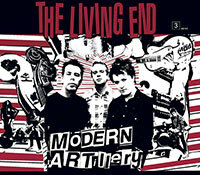 The peak position for the album was third place in the ARIA Album Charts, and Rolling Stone Magazine awarded them with 4 and a half stars over five. The sound can be described as tougher, more direct. 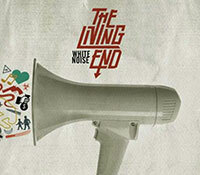 It´s the latest album to date for these Australian Rockers and is still being toured around the world to this date. 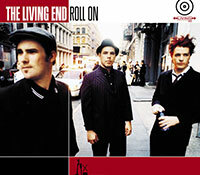 It peaked number four on the ARIA Charts and received great critics.